A Miami Mustang & Shelby Club. Southeast Florida SAAC. Powered by Blogger. 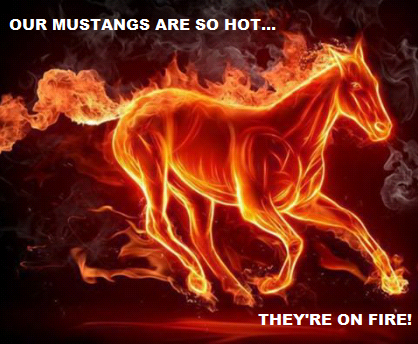 ...because our Mustangs are so hot, they're on fire! Ford's Garage, Italian Mustangers and the Coolest Bathrooms Ever?! You read that title right. Now hang on, as there's a lot going on in this post and you won't want to miss any of it. Check out this late model Cobra with some very psychedelic colors - groovy baby! This Hot Ride Is Cool As Ice! What's cooler than cool? The answer: Ice cold. And what's ice cold? This wide-body GT500. What'cha think?